Input text: The [desert] backdrop. 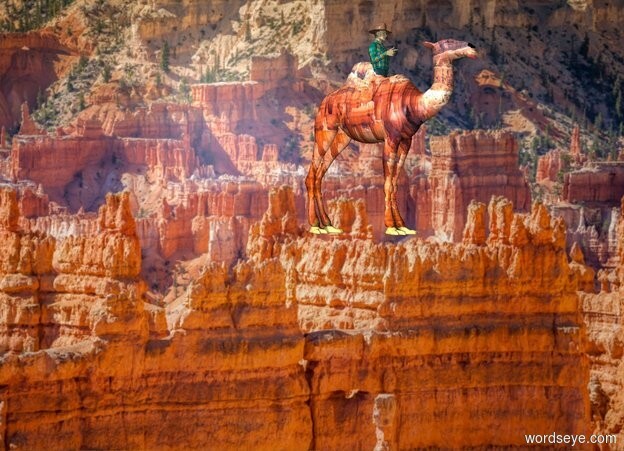 The [desert] camel. The man is 3 feet in the camel.